Google Pigeon released about 1 week ago now, so we have to assume that the Google engineers have settled down any initial bugs and what we are seeing now is more or less what we are getting. The update has sparked a storm of comment across the biggest SEO sites in the world- with MOZ describing it as the month that Google shook the SERPs. Many people commented on their particular areas of interest, noting huge shifts in local search results in industries all the way from real estate and hotels to ice-cream. 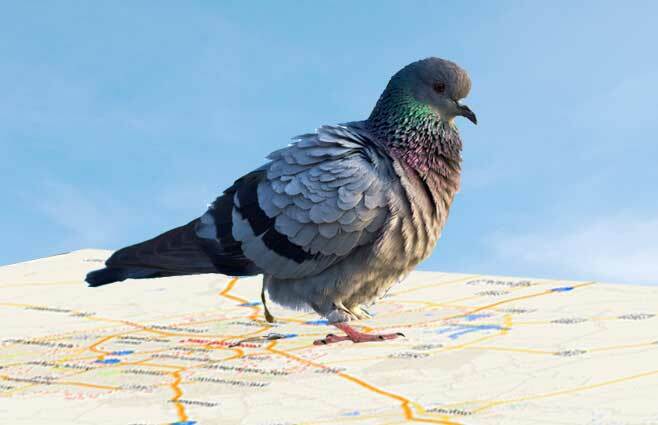 The fact is that Pigeon is another huge shift for SEO consultants – one of a series that has hit this summer. One of the most noted effects of Google pigeon was smaller map packs. Instead of getting 7 results of businesses close to you- suddenly we are now getting only 3 or none. In the So-Lo-Mo world (Social-Local-Mobile) the google local results are a mainstay, so dropping these results way down makes little sense. But while that has been getting most of the attention, I am seeing another, much more damaging change. I follow a particular tight niche and I can’t comment on the world-wide effect of the Google pigeon update. What I can say is that in my niche, the small business owner got a real slap down. I do SEO work mostly with dentists, and mostly in Central Texas. In San Antonio, Google really smacked down the local dentist with the pigeon update. In the past, if you were in zip code 78148 and you searched the work “dentist” or “dental” with no other modifer, the map pack would show you a list of dentists that were in your immediate geographical area. The geolocation was very tight and would center on your zip code. This was also true even if you searched for “san antonio dentist”. What Google would show you was appropriate matches in as close as possible to your location. What I am seeing is a massive broadening of the geographical search area to encompass a much larger “local” area. I did not see it in all my searches, but I saw it in a great many of them. I tested this in Dallas, Houston and San Antonio. What this means is that no matter where you are in any of these huge metro areas, you see the same 8 or 10 top dental offices. Because the “local” area is so wide, google is picking up the ” most important results” – the offices that are perhaps a 40 minute drive from where I am, but they have great SEO. And lets face it, for a great many local choices, distance is the key – not how well they SEOed their site. The super-wide “local” results that I am seeing make them pretty much worthless. Another really unpleasant side effect of these large geographical bite is that a chain might have two or three offices in a large city. What then happens is that you might search “dentist” and google maps shows you half of a city as the “local results”. Because the BigBoy Chain has three locations in the area and because they have an overall excellent SEO ranking ALL THREE of their locations show up in the map pack. This is the antithesis of “local” results. This is Google pushing you to the people who are paying them the big advertising fees. This is squeezing down the small guy. This is the complete opposite of the stated Google objective which is to bring more accurate and more usable local search results. While the “pigeon” moniker came from SearchEngineLand, not Google, I think it’s time for Google to create a “Scarecrow” update and get rid of all the recent changes. They had a great alogarithm, it worked well. Now they have a real mess. Please Google, don’t go all Bing on us.